Nintendo has been around for a while now, 125 years to be exact. They have been credited with starting the home video games market but even though that is not true they did reinvigorate it after a game called E.T. allegedly killed the market prior to the Nintendo entering it. Over the years Nintendo has brought a lot of new ideas and concepts to video games, most of which we now take for granted. However it hasn’t been all hits for the house of Mario. In this series I’d like to take brief tour through Nintendo’s better and lesser known product history. Before Nintendo entered the home videogame market it was already in the video games business. It built arcade machines and portable digital games. Their arcade venture gave birth to two of their biggest franchises with just a single game. 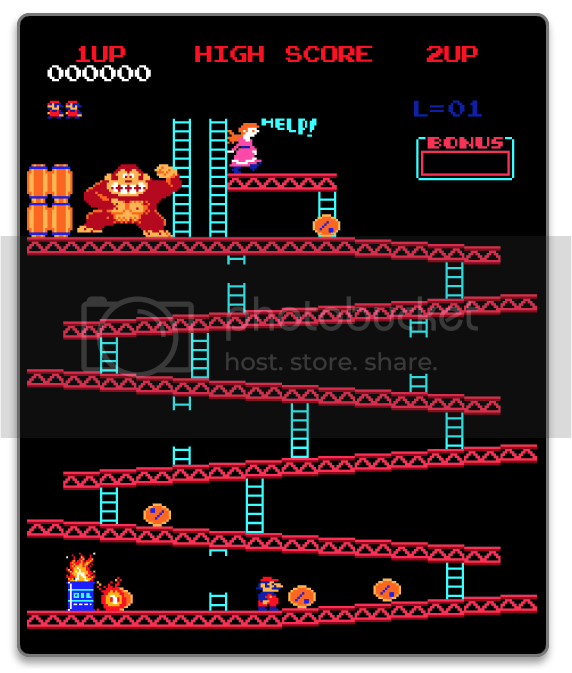 Their iconic game Donkey Kong not only introduced the big ape himself, it’s also the first time we got to play with “Jumpman”, a character we would later come to know as Mario. 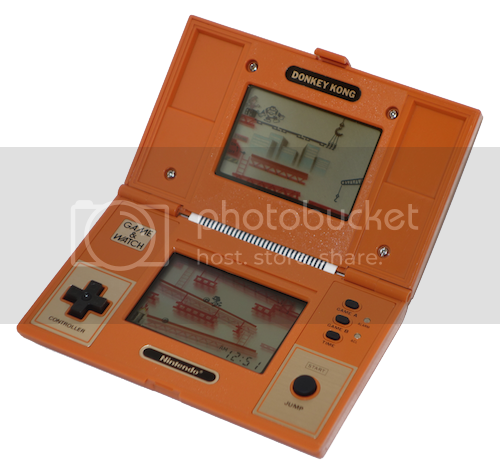 During this time Nintendo also produced the popular Game & Watch series of handheld games. The handhelds sported a single game and they came in various versions. Most notable innovation in the game & watch games was the introduction of the cross-shaped directional pad. Something that would become the default input mechanic in videogames for years to come. 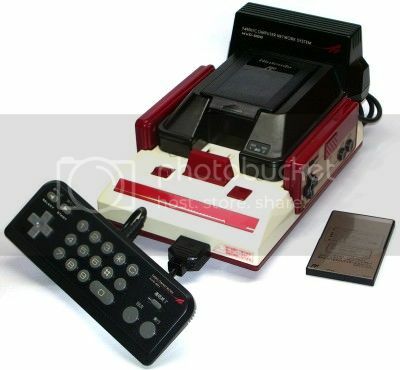 The NES (or the Family Computer aka Famicom as it was known in Japan) was Nintendo’s first foray into the home video game market. Nintendo’s gray box sported removable game cartridges and had two controller ports. These controller sported the Game & Watches’ d-pad and four buttons: two action buttons (A & B), the select and start button. A layout that has remained mostly the same to this day. Perhaps the most significant innovation that Nintendo introduced during the NES-era were battery saves. This simple addition allowed gamers to save their progress. Prior to that you’d either need to complete a game in one go (like with the original Super Mario Bros) or rely on long passcodes (as was the case with Metroid) to pick up from where you left off. 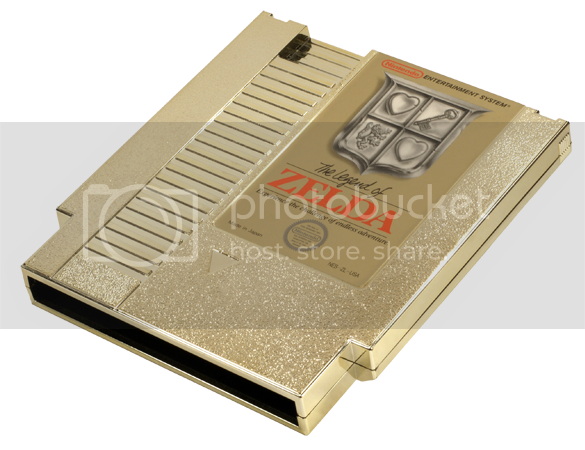 The first game to include this feature was the original Legend of Zelda game, which came in a golden cartridge. The battery enhanced cartridges were the domain of the western world however. In Japan Nintendo released the Legend of Zelda through a different medium: the Famicom (Computer) Disk System or FDS. This add-on for the Famicom sported proprietary writable disks. Since these disks were writable they didn’t need batteries to save progress. The FDS was developed because conventional cartridges were deemed too expensive and the FDS’ disk cards were cheaper to produce. They sported 112k of storage spread across two sides. This meant you needed to turn the disk around for certain games, with some games even spanning multiple disks. Nintendo also had so-called Disk Writer kiosks where users could overwrite the disk’s contents with a different game for less than a third of the game’s cartridge price. Some of these kiosks also had a “Disk Fax” capability where users could upload their’s games’ scores to Nintendo to be included in nationwide leaderboards. The service proved to be quite popular as the writer kiosks remained in use up to 2003! The FDS was announced for but never released in the west for unknown reasons. Something that would not be uncommon. The FDS also marks the first notable entry in Nintendo’s complicated relationship with video game cartridges. With Micorsoft ruling online play at present it might be hard to imagine that Nintendo has been at the online game since 1988. Disk Fax wasn’t the only experiment with connectivity that Nintendo undertook during the NES-era. 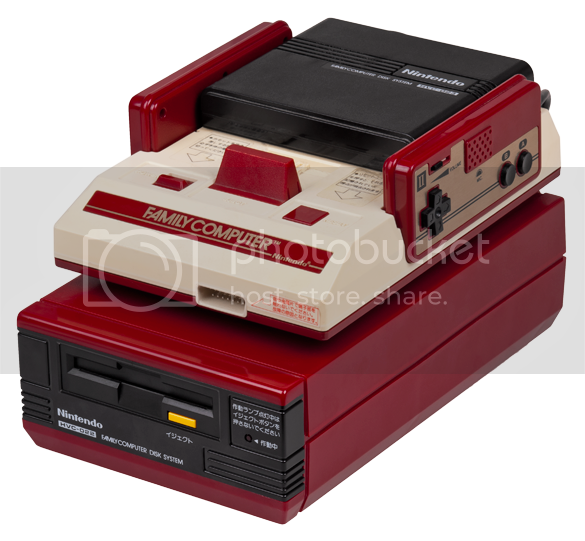 It also release the Famicom Modem in 1988, again only in Japan. Using the modem you could connect to a Nintendo server where you could access game cheats, jokes, weather forecasts and even some limited downloadable content. Stock orders apparently were also on offer. The modem remained mostly an experiment as only 5 prototypes were developed but never released. The NES-era also brought forth a slew controller peripheral, a tradition Nintendo would continue throughout the generations. Perhaps the most iconic of them was the Zapper. The Zapper was a lightgun addon that allowed you to shoot at your screen directly. The add-on worked by changing the game’s display for a few frames in which the background went black and the possible targets appeared as white blocks. The zapper could detect this change from dark to light to determine a hit or miss. Due to this mechanic the Zapper would only work on CRT televisions and not on LCD, LED or Plasma screens as those screen had display lag. There were 18 games that supported the Zapper including Nintendo’s Wild Gunman arcade game. 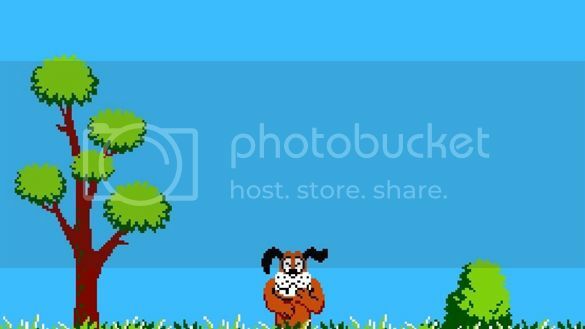 But the best known title for the peripheral was of course Duck Hunt. 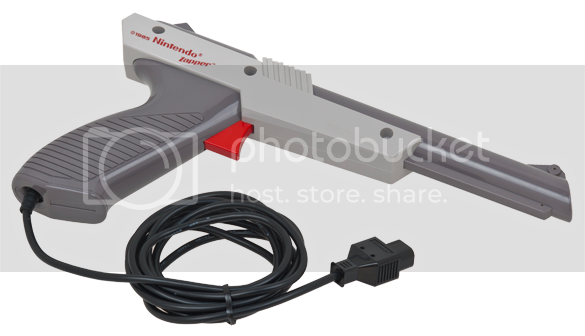 The zapper wasn’t the only pheripheral during the NES days, but it was the most successful. Not as successful but maybe just as notorious was the Power Glove. Not developed by Nintendo themselves but noteworthy nonetheless as Nintendo later on seemed to adopt the technological approach for one of their later systems. The Power Glove allowed you to control the game by moving your hand. It did this by connecting a set of receivers around your TV. The glove emitted ultrasonic 40kHz soundpulses. The receivers used these soundwaves to triangulate the position of the glove. This then translated into commands for the game. Only two games were released for it, more games were announced but never released. As I mentioned the tehc behind the powerglove is interesting because Nintendo implemented a similar approach in the Wii remote. In stead of using high frequency sound the Wii remote used ultra violet light. The Wii remote did turn around the mechanics, but the basic idea was very similar. Comes to show that a good idea alone isn’t enough for big success. The Powerglove became a pop culture favorite. It’s most notable appearance was in the Nintendo-produced movie The Wizard. In that movie the movie’s “villain” wields the Powerglove at one point saying: “I love the Power Glove. It’s so bad!”. That phrase has evolved in to it’s own internet meme. With a big help from Bandai Nintendo also introduced it’s first foray into a more active way to play games in the form of the power-pad. The power pad was a pressure sensitive mat you could control with your feet, similar to the mats used in the popular Dance Dance Revolution games. Bandai was the main force behind the mat and it produced the bulk of the 11 games that were released for the power pad. 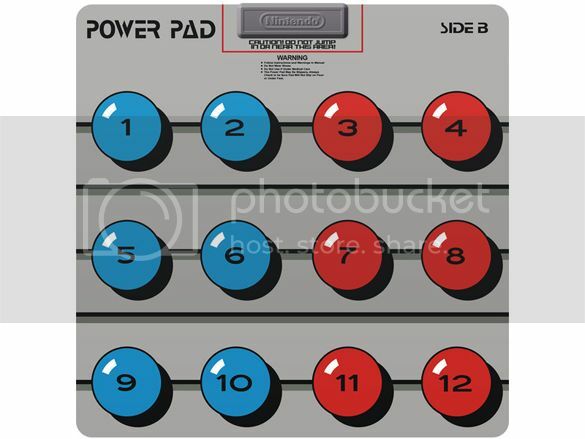 The power pad itself even got a revival during the Wii-era, this only released by (Namco) Bandai. Nintendo at that time was having it’s own success with more activity based controls. But we’ll get to that later. The NES era also marks Nintendo’s first steps into 3D gaming. Only released in Japan in 1987 was the Famicom 3D system. It’s unclear who produced the system but Nintendo itself did at least make a game for it. 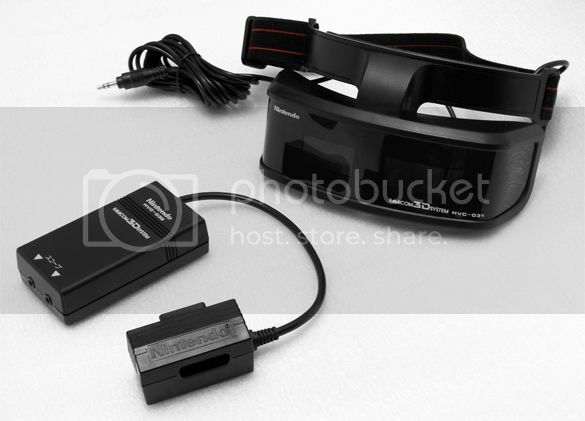 They weren’t the first though, as the the Famicom 3D system was a direct answer to SEGA’s SegaScope 3D glasses. The system was supported by 8 games but it suffices to say it didn’t quite revolutionize gaming. 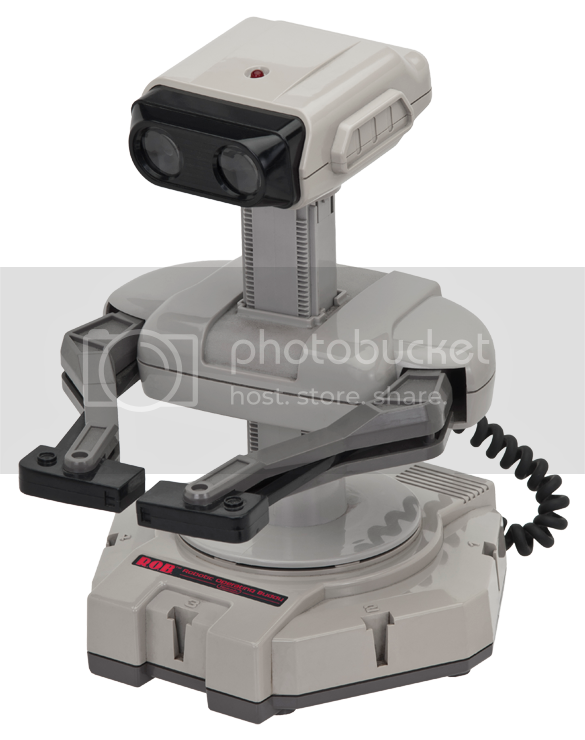 To finish of the NES era is an even more obscure pheripheral: the Robotic Operated Buddy better known as R.O.B. R.O.B. was a little droid released at the beginning of the NES lifecycle. It was meant to have the NES be perceived as a novel toy. It activated through flashes on the TV after which it could receive up to six commands. There were two games compatible with R.O.B. dubbed the Robot Series. Let’s leave it at that R.O.B. wasn’t Nintendo’s biggest success. After the NES era R.O.B. has had some cameo appearances in Nintendo games but that’s about it. That covers the 8-bit generation. Check back soon to continue our trip down memory lane. Games, movies and gadgets are what it's about. My primary poison is whatever Nintendo cooks up next.